Pebbled calfskin leather; brass hardware. Adjustable crossbody strap with bow buckles, 19" drop. 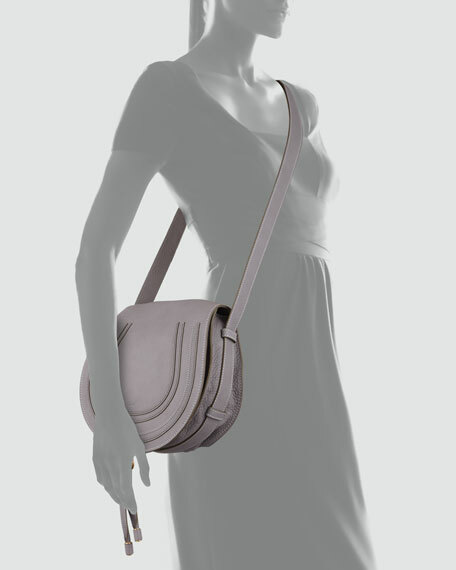 Horseshoe flap top with pintuck details; straps and loop closure. Exterior slot pocket under front flap. 10 1/2"H x 12"W x 4 1/4"D.
Marcie is made in Italy. 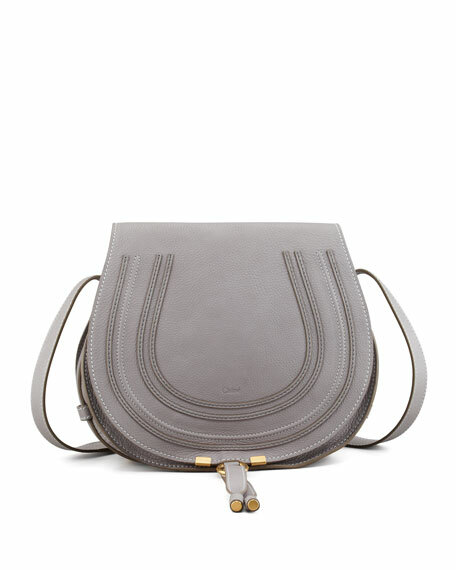 Chloe "Roy" crossbody bag in smooth calf leather with golden hardware. 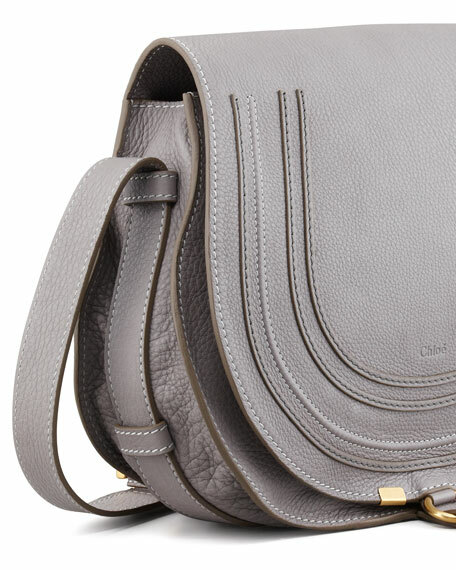 Removable chain and leather shoulder strap. Recessed zip top closure with tassel pull. Exterior, embossed logo at center front. Reinforced metal bar sides. 5.7"H x 8.3"W. Made in Spain. MCM monogrammed logo leather crossbody bag. Removable chain shoulder strap, 23.6" drop. Layered envelope flap with slide-lock closure. Exterior, pocket under top flap; back slip pocket. Interior, cotton lining; one zip pocket. Individually numbered logo plate. 4.3"H x 7.3"W x 1.6"D. "Millie" is imported. Saint Laurent chevron-quilted leather crossbody bag. Padded top handle, 2.6" drop. Removable, adjustable shoulder strap, 21.7" drop. Envelope flap with YSL logo; snap closure. 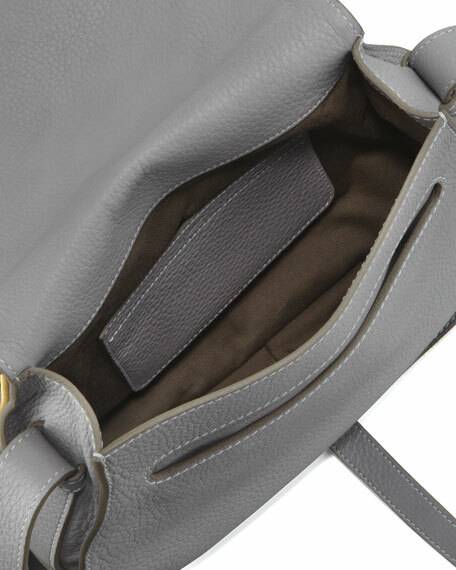 Interior, fabric lining; zip compartment. 6.7"H x 9.5"W x 2.6"D. Made in Italy.